Wayne Lusardi is employed by the Michigan Department of Natural Resources as State Maritime Archaeologist and is stationed at Thunder Bay National Marine Sanctuary in Alpena. Mr. Lusardi is responsible for the research, documentation, preservation, and management of nearly 200 shipwrecks located in and around Thunder Bay, and another 1,300 around the State of Michigan. Mr. Lusardi is involved in all aspects of fieldwork, survey, research, education and outreach. He has an extensive background in underwater and terrestrial archaeology, artifact conservation, and material culture studies. Before arriving at Thunder Bay, Mr. Lusardi was employed as an archaeological conservator for the Mariners' Museum in Newport News, Virginia. He led the museum's team during NOAA's excavation of the USS Monitor's turret after its recovery in August 2002. 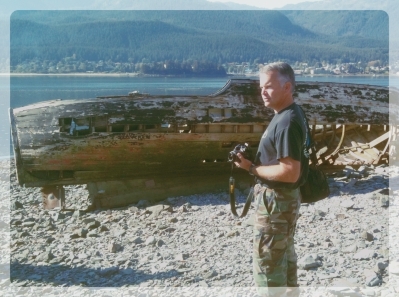 Prior to the Monitor project, Mr. Lusardi spent four years on the Blackbeard shipwreck project in North Carolina. He also worked as an archaeologist for Tidewater Atlantic Research, Texas A&M University, and the Illinois State Museum. He received his M.A. degree in Maritime History and Nautical Archaeology from East Carolina University in 1998, and a BS in Anthropology from Illinois State University.